Discussions Magazine Music Blog: THE DEAD DAISIES: An EXCLUSIVE Q&A with JOHN CORABI! THE DEAD DAISIES: An EXCLUSIVE Q&A with JOHN CORABI! are here to melt your mind! STEPHEN SPAZ SCHNEE: MAKE SOME NOISE is finally released. How are you feeling about the journey to make the album and the reaction to it so far? JOHN CORABI: Honestly writing and recording the record was a blast!!! All of the guy are so friggin’ talented I don't think we're ever going to have a shortage of ideas!!! And the fans have been beyond receptive to MAKE SOME NOISE. They've actually pushed this thing onto a lot of charts around the world!!! SPAZ: Hard Rock is often defined by how heavy the music is and how powerful the riffs are. This album also adds a strong sense of melody and the songwriting is top-notch. How do you approach the creative process – do you base the melodies around riffs or do the riffs come later? Has this songwriting process changed for you over the years depending on what project you are involved with? JOHN: Honestly I write the way I write. I don't think about anything going in. We all contributed equally to the writing process so, we just let the record develop and take us on the ride!!! SPAZ: Is this a collection of tracks written specifically for MAKE SOME NOISE? Or are these ideas that have their origins in past projects that the musicians have been involved with? JOHN: We had no songs when we started this. We all just started throwing riffs on the table and ran with it!!! SPAZ: The album is certainly modern Hard Rock but there are nods to great Rock ‘n’ Roll from the ‘70s and ‘80s. 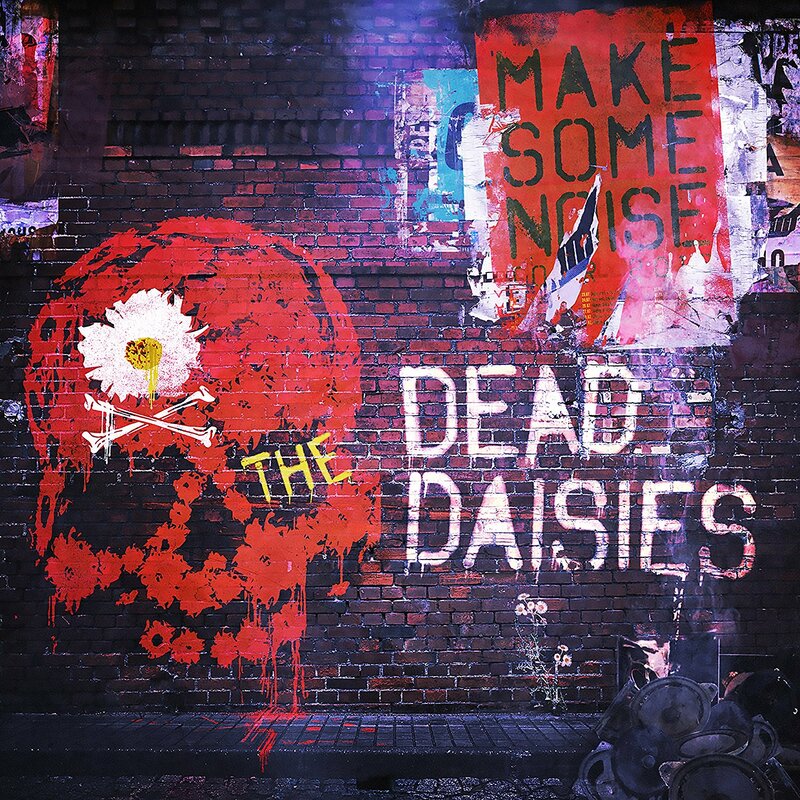 Did you have a specific idea on what musical path you wanted The Dead Daisies to follow when the album came together? Or does the band work together and the songs grow organically from your relationship to each other? JOHN: The songs just grew from riffs and everybody's input!!! SPAZ: How did the band come to choose Marti Frederiksen to produce the project? JOHN: I've known Marti for years although we never worked together. I've been following his career for years and always wanted to write or work with him in some capacity. So when management asked about producers in Nashville we all jumped at the chance to work with him. SPAZ: With a batch of great songs penned by the band, are there specific reasons you chose to cover CCR’s “Fortunate Son” and The Who’s “Join Together”? Were there any originals left over from the sessions that we may be able to hear at some point? JOHN: We all LOVE the "classics" so we always throw a cover or two on our records. “Fortunate Son” was something we were playing as an encore last year and it went over great with audiences everywhere!!! “Join Together,” I've always LOVED, so we just gave it a shot. We did have quite a bit of material left over but, we usually start fresh each record, so I don't know if they'll be used or not??? SPAZ: Who would you consider the band’s greatest influences, musical or otherwise? 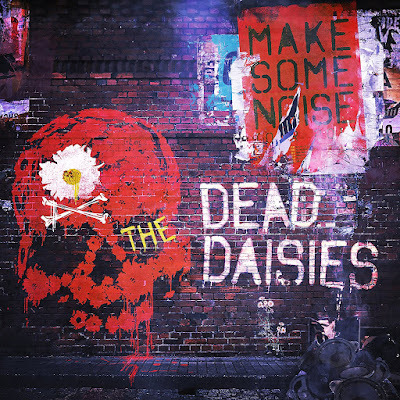 There are so many great musicians involved in The Dead Daisies. SPAZ: Hard Rock seems to be a genre that is far more varied than critics would lead you to believe. However, the Hard Rock scene is still as vibrant as ever thanks to the fans. Why do you think that Hard Rock audiences are far more dedicated than fans of other musical genres? JOHN: It's probably the same for other genres, I would imagine. I have friends that are into Country Music that are die hards about that stuff, and I don't know much about that at all???? SPAZ: What do you consider the band’s biggest hurdle to overcome in the music business today… especially when many listeners are now choosing to stream your music instead of going out to purchase iit. JOHN: I guess just getting the word out there to the fans. With MTV being a non-musical entity lately and radio not really embracing bands like us makes it difficult. But we have an AMAZING social media network around us so we're doing just fine!!! SPAZ: You’re best known as a vocalist but many don’t realize that you’ve been a respected guitarist for years. Do you feel comfortable in either position? JOHN: I actually started as a guitar player and through a series of different situations I wound up behind a microphone. But, it definitely helps with my writing as I don't have to rely on anyone else when need be. SPAZ: Some feel that a revolving line up can be quite confusing for followers of some bands. 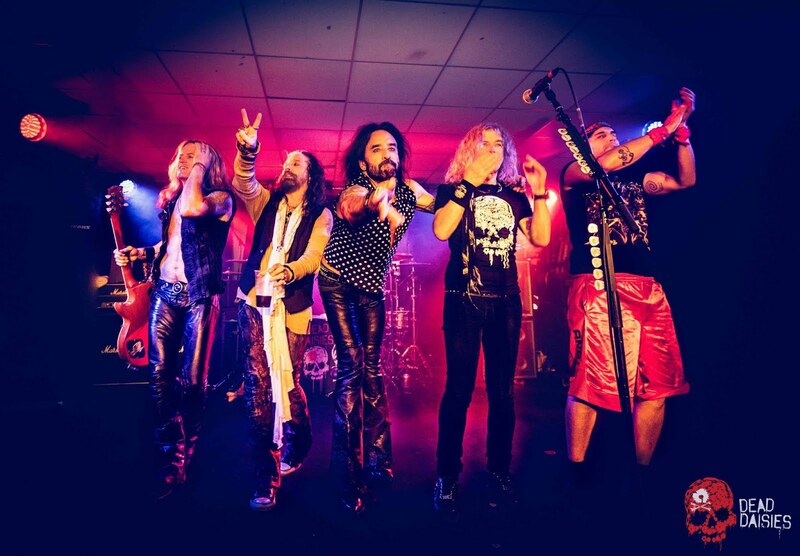 How has the audience response been to the most recent line-up of The Dead Daisies? JOHN: It's been nothing short of AMAZING actually!!! And due to some circumstances with some members leaving, or having to have someone fill in, we've always been honest with the fans, and I think they appreciate the honesty!!!! SPAZ: What’s next for John Carobi and The Dead Daisies? JOHN: At this point we're just touring in support for MAKE SOME NOISE, until sometime in December. I also have a live record coming out sometime this fall so... It's a live recording of the Motley 94 record, called 94 LIVE, ONE NIGHT IN NASHVILLE. JOHN: Mostly classic rock from the 60-70's, but I've been listening to Rival Sons, Inglorious, The Struts. 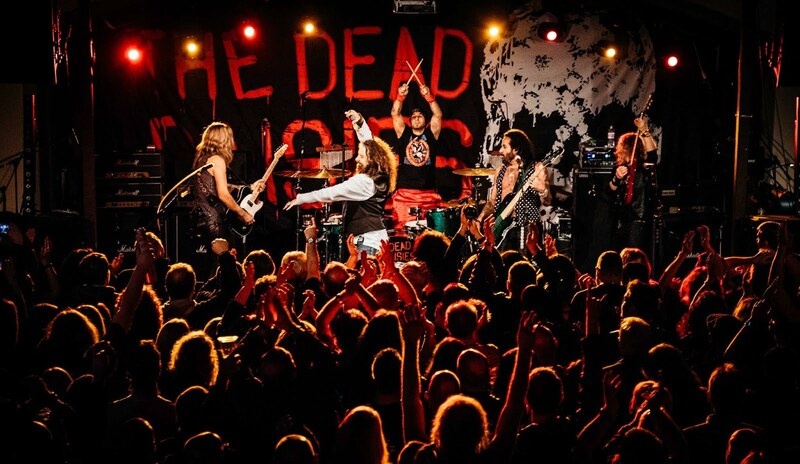 Read all about THE DEAD DAISIES here! Stay up-to-date with THE DEAD DAISIES courtesy of their official site!